Wireless microphones are used to transmit sound to an amplifier or recording device without need of a physical cable. Their use provides many important functions that serve the public interest. Wireless microphone users include theaters and music venues, film studios, conventions, corporate events, houses of worship, major sports leagues, and schools. 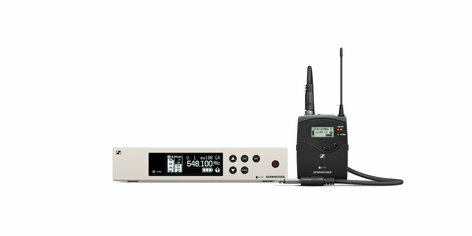 Wireless microphones can include hand-held or body-worn wireless microphones, in-ear monitors, devices used for cueing on-air talent, and intercom systems for backstage communications. Changes were beginning to take place in 2017 concerning operation on 600 MHz frequencies. Beginning in 2017, the amount of TV band spectrum available for wireless microphone use is decreasing as a result of the incentive auction, which was completed on April 13, 2017. Specifically, wireless microphones that operate in the new 600 MHz service band (the 617-652 MHz and 663-698 MHz frequencies) will be required to cease operation, and may be required to cease operation sooner if they could cause interference to new wireless licensees that commence operations on their licensed spectrum in the 600 MHz service band. The United States Federal Communications Commission (FCC) auctioned off airspace in the 600 MHz band, originally available for using wireless microphones, to companies including cellular internet providers. Users of wireless systems like microphones, in-ear monitors, and intercom systems were told to vacate the space or face fines and criminal sanctions. Originally, they said we had until 2020 to replace our gear and stop using the equipment. But then, buried in fine print, it said UNLESS the auction winners start using that space, in which case we needed to vacate that space immediately. It is because of the above statements that we now must replace 12 of our 16 of our current wireless microphones. After much discussion with the sound engineers at several different sound companies we have come up with a plan that will work. Of course were not able to budget for these microphones as it was a complete shock to us that we were going to have to do this. The total cost to replace 12 wireless microphones is $8,800.00. With your help we can continue our day to day operation just as we have in the past. Our wireless microphones are used for most of the concerts brought into the theater. But most importantly they are used for all school plays and musicals as well at the children’s theater productions produced every August at the Ohnward Fine Arts Center. Please help if you can. The Ohnward Fine Arts Center is a nonprofit 501C3, meaning all of your donations are tax deductable.